New details are learned about the Batman prequel to Gotham at the Television Critics Association press tour, which is called Pennyworth, and airs on Epix this June. The series focuses on Alfred’s life well before the birth of Bruce Wayne and is a ten-episode drama series that comes from Gotham executive producers Bruno Heller and Danny Cannon. It follows Alfred, a former British SAS soldier who forms a security company and goes to work with Thomas Wayne, Bruce’s billionaire father, in 1960s London. Executive producer Danny Cannon offers that it is not goofy like Austen Powers, but “13 degrees darker” when describing the look and tone. So how about Jack the Ripper? “Jack the Ripper was 1880s... but he has descendants," Cannon teased. Cannon also said test screenings went really well. “We had a test audience and there were only so many who knew it was a DC-related series. It was incredibly positive and that’s because the characters are being drawn out. There’s so much to draw from and so much to imagine," he said (via Deadline). Details for the Pennyworth series include that Alfred is being played by Jack Bannon, with the character previously described as a boyishly handsome, cheerful, charming, clever young man from London. Honest, open-faced and witty; you'd never take him for an SAS killer. Alfred doesn't know how to reconcile the kind-hearted boy he used to be with the cold, calculated killer he was forced to become. He's a man on the make, who doesn't know what to make of himself yet. Thomas Wayne is being played by Ben Aldridge, with the character described as a young, fresh-faced billionaire hailing from the east coast of the United States. 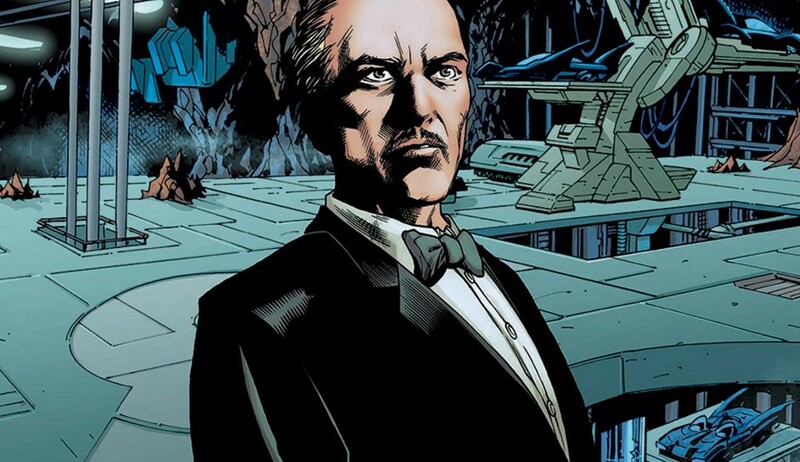 Confident and extremely disciplined, this young aristocrat meets an unlikely business partner in Alfred Pennyworth. Alfred’s main adversary, Bet Sykes, will be played by Paloma Faith, who is described as a spirited, sadistic and sharp-tongued villain. Bet has a sister, Peggy Sykes (Polly Walker), who is one of Lancashire’s busiest and most successful dominatrixes. The sensible matriarch in a family of maniacs, Peggy is fiercely loyal, endlessly resourceful and lives by her own strange but rigorous moral code. Jason Flemyng plays baddie Lord Harwood.